An emphasis on Research and Solution Development has kept NTIC at the cutting edge of VCI based corrosion mitigation technologies. This has been recognized by several major oil corporations who have entered into various product testing arrangements with NTIC – including Petrobras, Total, PEMEX, Shell and Cairn Energy. 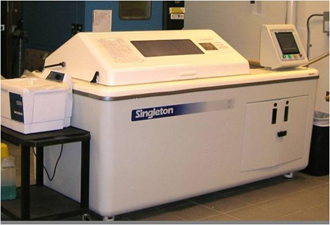 Field trials and rigorous R&D lab testing are conducted to continuously evaluate our corrosion protection solutions. 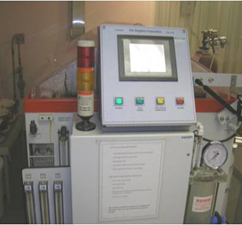 Our laboratory personnel leverage specialized equipment to conduct accelerated testing in various corrosive environments relevant to the Oil & Gas industry, including those with traces of Hydrogen Sulfide (H2S), Sulfur Dioxide (SO2) and Carbon Dioxide (CO2). 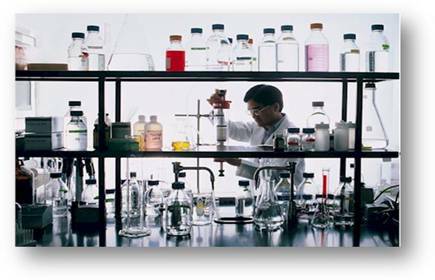 The Zerust® Oil & Gas team has state of the art laboratory facilities in Beachwood, Ohio (USA) and in Circle Pines, Minnesota (USA) that are used for primary corrosion research, product development, joint R&D with our clients and analysis of field test data. 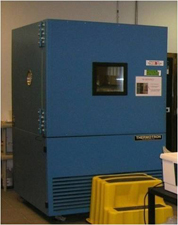 Temperature-Humidity Chamber – conditions are set to simulate typical atmospheric environments. Salt Fog Chamber – conditions set to approximate structures located in seaside and marine/offshore environments. Tri-Gas Chamber– conditions set to industrial and refinery environments (gaseous environments that contain certain levels of Cl-, SO2, CO2, and H2S). Each project is unique (unpredictable, constantly changing environmental conditions, exposure to various different contaminants, etc.) and selection of an appropriate protection system is crucial to maximize equipment service life and performance. Our knowledgeable technical staff is best suited to achieve the vital objective. NTIC welcomes the opportunity to work jointly with clients to address their corrosion problems. Please contact us for more information on how we can be of service to you.